Not sure if I understand what I'm looking at in the "File Converters" menu, but I do like the amount of options in the "Library" one. I haven't really figured that out either. I know that it wants me to pick a format for file converting, and I know it wants me to set the parameters for that format, but I'm not sure how to write those parameters so I'm sticking with the defaults for now. Which is fine since the highest quality option for MP3, "archiving", is CBR 320k, what I normally use anyway. 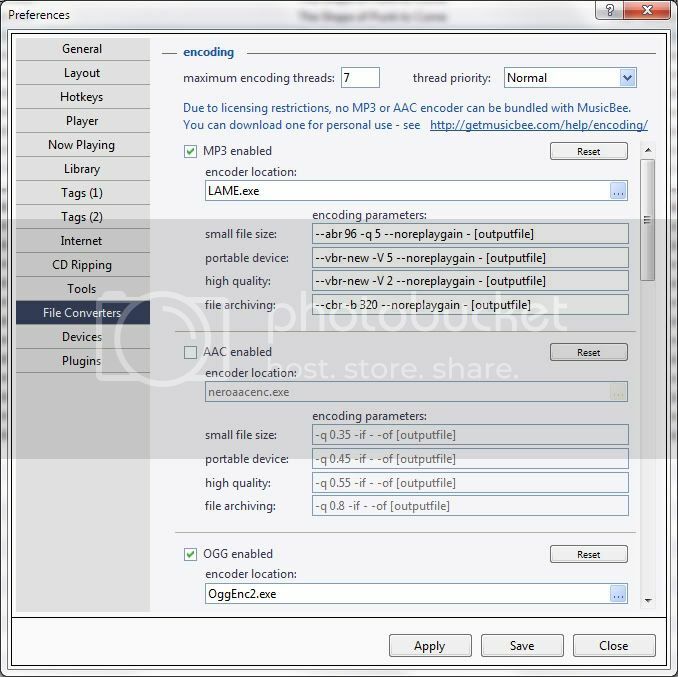 ^The file converts just shows different pre-made settings for encoding mp3s. The program runs the file lame.exe (mp3 encoder) with a set of parameters which decide the quality and so on of the output file and those parameters are what's defined in the "encoding parameters". In order to customize those, you'd probably want to have a look at "lame.exe /?" first. 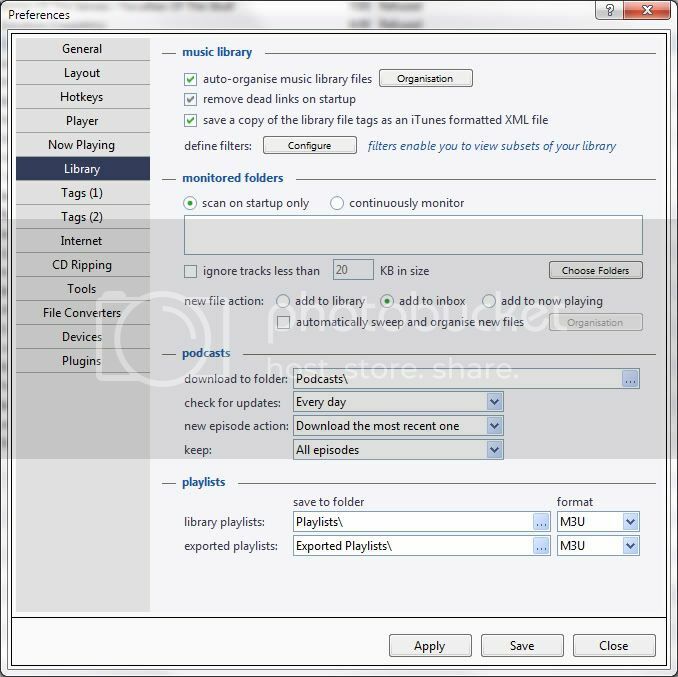 Foobar let's you customize almost everything, but the bad thing is that unless you use a premade theme, you have to customize everything so that's a tradeoff; ease of use vs. versatility. I used Winamp, Foobar, iTunes, Windows Media Player. iTunes, i like it more. It actually depends on your aim. If you have an iDevice, it's iTunes. Last edited by Cenotaph; 02-13-2011 at 07:31 PM. Reason: Please don't post images that are that gigantic. I'm currently having to download the new iTunes because the store no longer supports anything lower than the newest version, and I just got a gift card. I will probably lose my library, too; before my laptop died, iTunes 10 totally wiped out my library file and thoroughly pissed me off. Did you download iTunes 10, by any chance? Apparently, that's a common problem with it.